Buy online our clothing and fashion fabric 'Fumo' Gray Silk Taffeta, Made in Italy. 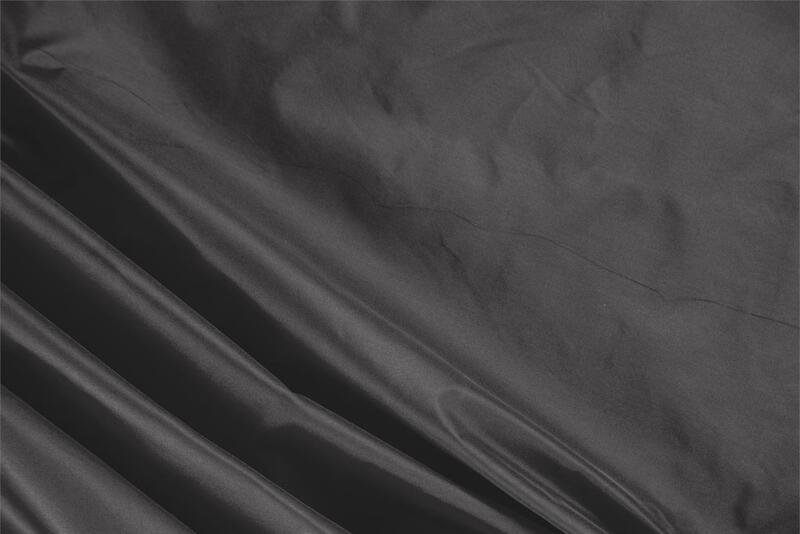 Our luxury silk taffeta is an elegant and fine fabric with a semi-lustrous aspect and a sustained, crisp hand. Silk taffeta has a gorgeous sheen and makes a distinctive rustling sound as it rubs against itself. It is ideal for making elegant dresses and jackets, sophisticated bridal gowns and refined evening dresses. Fumo Gray Silk Taffeta Plain fabric for Ceremony dress, Dress, Jacket, Light Coat, Party dress, Wedding dress.